State oil giant Saudi Aramco has signed a Memorandum of Understanding (MoU) with Dubai Electricity & Water Authority (Dewa) to foster collaboration in new energy, smart grid applications and management of power supply. The MoU will also provide a framework to assess potential collaborations and ventures in new energy and smart grid applications, digital transformation, and operational excellence. Saudi Aramco VP (Power Systems) Abdulkarim Al Ghamdi said: "We look forward to our partnership with Dewa as it is an important step to achieve our shared objectives and goals that aim at identifying new opportunities within our business for deployment of new energy, smart grid and digital applications." 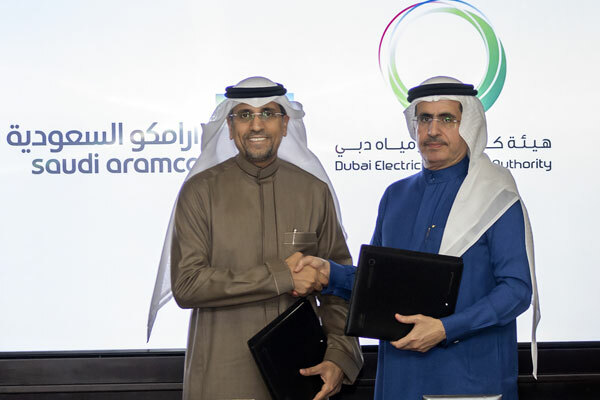 "Through this partnership, we are pursuing an exchange of experiences and best practices that will help both parties to leverage technology solutions and accelerate business growth and drive innovation in the energy sector," stated Al Ghamdi. "The MoU will help our efforts in digital transformation in the energy industry by applying effective technologies to enable operational efficiencies. The collaboration with DEWA will complement Saudi Aramco’s ongoing energy and technology initiatives," he added. Saudi Aramco said it is deploying smart control systems as part of the intelligent Power Center currently under construction. The center aims to enhance the effectiveness of power generation, transmission, distribution, and asset management through the implementation of latest real-time power management technologies. Saeed Mohammed Al Tayer, the managing director and CEO of Dewa, said: "This MoU supports the vision of the wise leadership in both the UAE and Saudi Arabia and contributes to achieving integration across all vital sectors through joint efforts to support national and regional goals and common interests, anticipate the future and adopt innovation to enhance sustainability of development."